Lightweight Collapsable Wheelchairs, manufactured by Carex, are uniquely designed Lightweight Wheelchair. These chairs are so unique because they are fully collapsible. Unlike some other Lightweight Wheelchairs that just fold up, this chair folds flat, the backrest folds down, the desk arm rests flip up, the footrests and even the rear wheels are removable. This Lightweight Mobility Aid is compact enough that once the wheels are removed it should fit easily into almost any trunk or car. This Wheelchair is easily folded up. 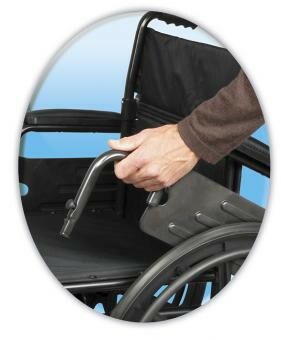 A push of a button will fold down the back and release the rear wheels. This chair transports easily and is lightweight compared to some other traditional chairs. The wheelchair is compact, but heavy and difficult to self maneuver around in. Not sure what the tires are made of, but they leave streaks on my tiles and floor rugs. I wish I could get my money back. 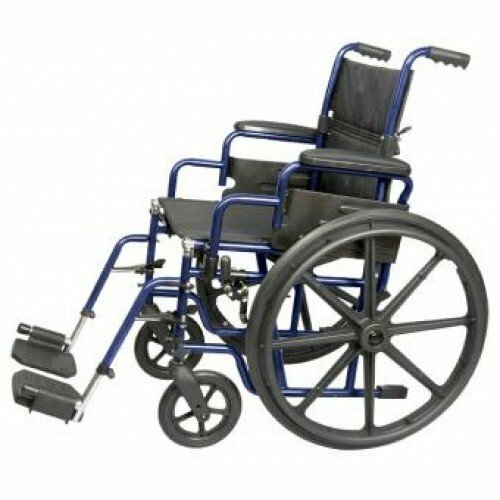 The wheelchair I purchased couldn't have been better--very high quality, excellent price, fits all the needs of my 90-year old mother. Customer support has something to be desired, though. I never received an e-mail telling me the product had been shipped, so I called--twice--and neither time was the rep able to tell me anything about it. 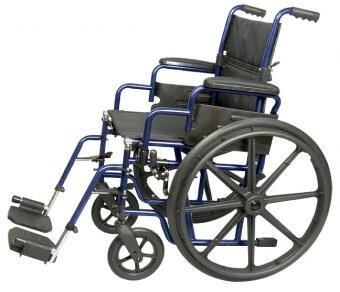 Great wheelchair, fabulous price and quick shipping! Vitality Medical for $100 less! Many of the lightweight wheelchairs are too narrow for me. This chair is comfortable to sit in. There is plenty of seating room. I am glad I purchased it. This chair is really easy to disassemble. The wheels and the leg rests come off. On most chairs only the leg rest pop off, so this wheelchair is more practical to transport. It is also light enough for my son to carry, making it easier to get out of the house. This folding wheelchair can be stored more compactly than other chairs, so it fits well in my small trunk. It is a good chair for my mother.